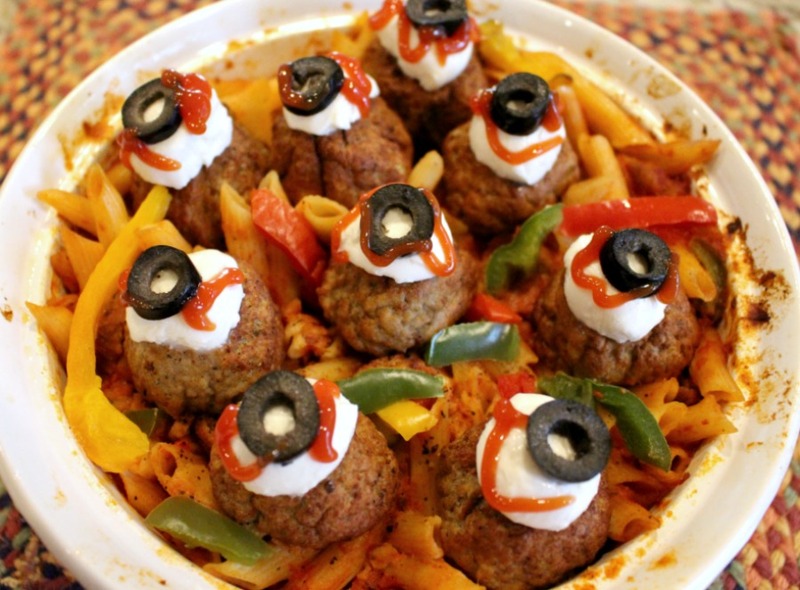 This really simple “Spooky Eyeball Meatball Casserole, is always a hit with my family. It’s fun to make and really hearty and delicious. Enjoy every spooky bite! 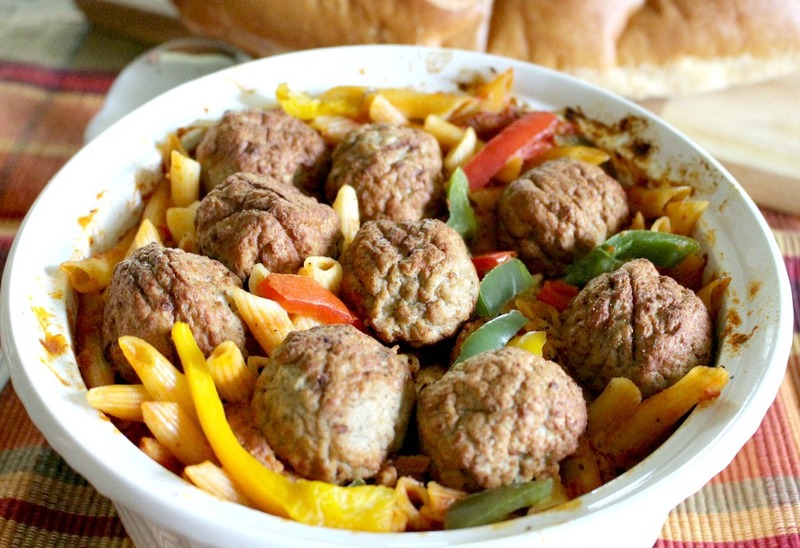 This casserole is really easy to prepare and the kids and hubby got a big kick out of it. Surprise your family and eat up, it’s delish! Preheat oven to 375 degrees, have a casserole or baking dish sprayed with cooking spray and set aside. Microwave the meatballs just until they are not frozen solid and cut up 6 of them into quarters and mix into pasta. Toss in the parmesan and grated cheddar along with the garlic powder. Mix gently. Now, mix in the cut up peppers. Bake for about 30 minutes until hot. You will probably see some bubbling. Take out, let sit on the counter for a few minutes. Place the cheese halves on top of each meatball then the olive. Now you can drizzle the ketchup around the cheese balls.